This design build project includes widening and/or rehabilitation of I-77 for approximately 12 miles. The purpose is to improve safety, rehabilitate the aging interstate and bridges, and reduce traffic congestion. The widening includes the addition of a travel lane in each direction beginning between SC 12 (Percival Road) and ending at the Killian Road Interchange. The additional lanes were constructed within the existing interstate median. 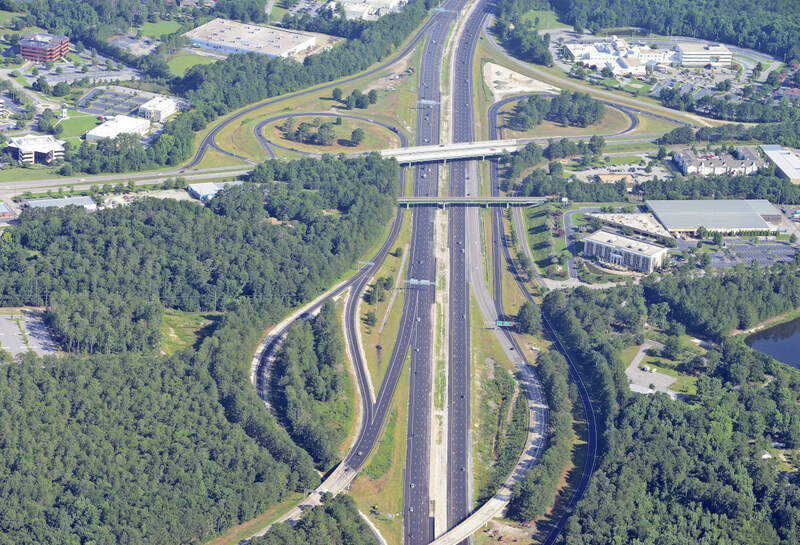 All of the interstate bridges within this area were widened toward the median to support the new lanes, including the bridges over I-20 mainline, I-20 westbound ramp to I-77 southbound, over Windsor Lake Boulevard, Windsor Lake and Jackson Creek, and over Edgewater Drive and Little Jackson Creek. The rehabilitation took place on the existing I-77 Southbound pavement from just north of Killian Road to Blythewood Road and consisted of repairing and overlaying the concrete pavement with a new asphalt pavement.